His position will be split into three roles. 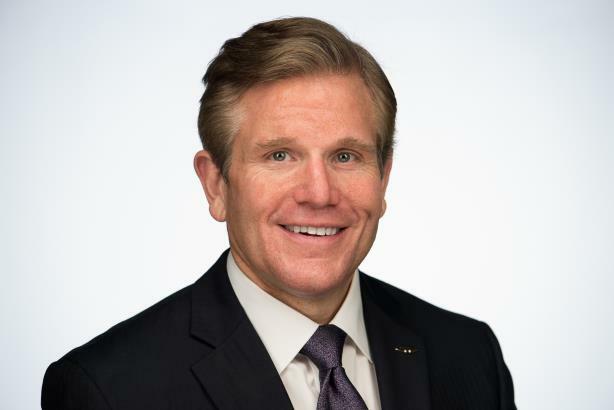 MIDLAND, MI: Matt Davis, president of Dow Chemical North America and SVP of global corporate affairs, is planning to retire at the end of the year after working at the company for three decades. His retirement is set to take place as DowDupont, which was formed via a merger between Dow Chemical and DuPont, prepares to split into three public businesses: Dow, DuPont, and Corteva Agriscience. Dow, which will include the materials science segment, is set to be spun off by next April. The company is planning for DuPont and Corteva, which will include the specialty products and agricultural businesses, respectively, to be separated two months later. "At a certain point, you want to broaden and grow as a professional," said Davis, who, after 32 years at Dow, is the longest-serving public affairs executive at the company. "If I stayed any longer, I probably wouldn’t have gone with a new opportunity." Davis’ role, which is focused on the Dow portion of DowDupont, will be split into three positions. Larry Ryan, business president of growth platforms and technologies, will serve as president of North America. He has worked at the company since 2011, starting as GM of oil and gas and becoming president of energy and water solutions, according to his LinkedIn account. Ryan was named president of Dow Transportation in August 2017. Rebecca Bentley, global director of corporate comms, will become VP of public affairs. She has worked at Dow for almost 16 years, according to her LinkedIn account. Bentley was a member of PRWeek’s 40 Under 40 list in 2014. Government affairs duties will go to Kevin Kolevar, VP of government affairs and public policy, who joined in 2012. His title will be VP of global government affairs. Previously, he worked at the Department of Energy for eight years. Davis said he will continue to work at the company through the end of the year as he hands off to Bentley and Kolevar to ensure a "seamless" transition. Davis has held 13 roles at Dow, starting as a communications representative based at the company’s Midland, Michigan, headquarters. He was named North America president and corporate affairs head in 2016, following the announcement that Dow and DuPont would merge in one of the largest combinations in U.S. history at $130 billion. Davis, a member of PRWeek’s 2018 Power List, helped to guide the company through its $8.9 billion acquisition of Union Carbide in 1999 and $16.3 billion deal for Rohm & Haas a decade later. "I’m the first person in the comms, public affairs, and government affairs function to be named a president," Davis said. "Our profession should take pride in that what we do translates to the commercial arena, into profit and loss, because we’re focused on the relationships that make any organization successful." Dow has worked with Teneo and Gibbs & Soell on business communications, Golin on business comms and corporate communications, and Landor Associates for branding, Davis said. This story was updated on September 21 to correct Ryan's title.